This blog has existed for more than ten years now. 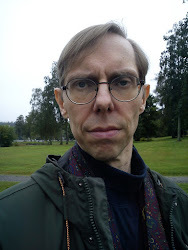 This blog is written by me, Lennart Svensson. I'm an author. And here's my biography. This blog started on November 22, 2007. And now it's February 2018. Thus, the blog is 10+ years old. The blog is called "Svenssongalaxen" in Swedish. In English, that'll be "The Svensson Galaxy". The youngest galaxy in the universe, young and vibrant. And for a blog, rather mature. 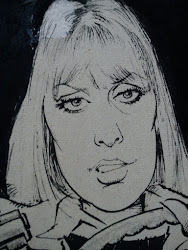 The blog has entries in both Swedish and English. In the beginning, they were mostly in Swedish. Now it's mostly English entries. 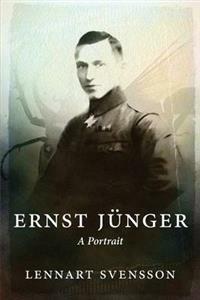 For its part, a book starting my English career was "Ernst Jünger -- A Portrait". 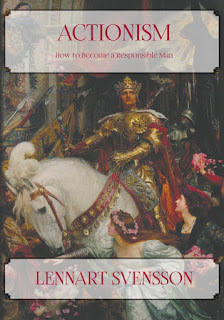 After that one, I've published some more books in English. Here's my bibliography. Maybe I should link to some interesting entries on this blog. In English. Here, we find the table of contents. English language posts on top.
. 2014: some notes about American author Clark Ashton Smith.
. 2015: a sample chapter from my Wagner bio.
. 2015: a short entry about the pictures that Julius Evola painted.
. 2017: a post sketching a main difference among authors, that of being either "a painter" or "a draughtsman". So, what shall I say now? This was a post presenting the blog and me. Hope you liked it. This is about a novel. I've written a fantasy. It was published last year. It's called Redeeming Lucifer. The plot takes place in Romania 1917. A Russian captain is ordered to recce cantonements for the regimental staff. He approaches a castle and, once there, gets another mission: to go to "The Land" and find a cure for the world's pain. This is an inspiring and page-turning read for anyone who enjoys fantasy and adventure stories. Writing in the great tradition of epic quests, this author gives genuine meaning to his theme by his obvious deep historical and esoteric knowledge. --- [This is] a very exciting story with acutely observed, flawed characters, brilliantly described battle scenes, and a very satisfying ending! More info about the book in this post. 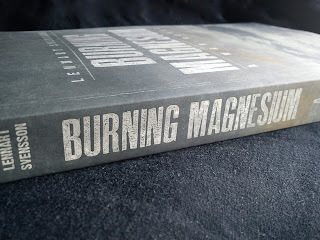 The new book by Lennart Svensson is called Burning Magnesium. The publisher is Logik förlag. It's a novel playing on the Eastern Front of WW2. You can buy it on Amazon.com. Also, it can be bought on Amazon.co.uk. And, for Swedish customers, on Logik.se. 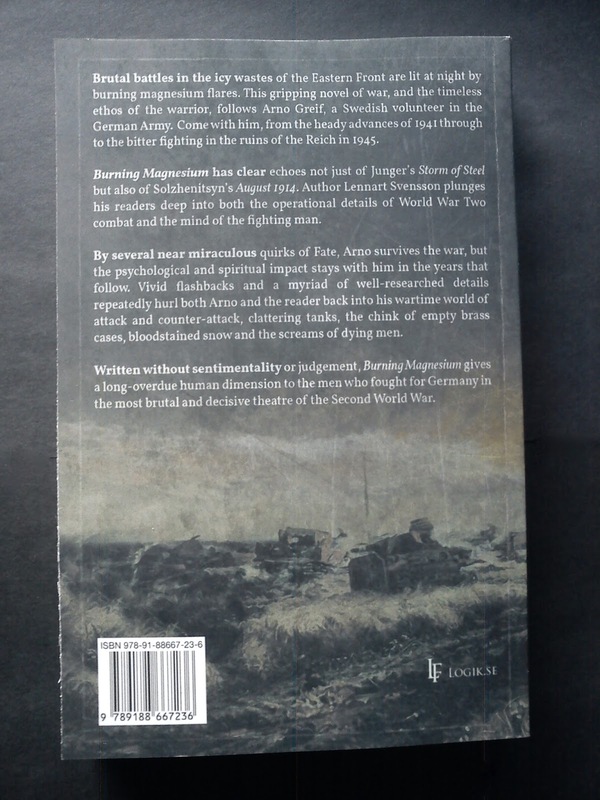 -- Edit 28 february 2019: the novel has now been reviewed on the Swedish site Motpol: "For the reader wishing for a war novel that deviates from the moralizing, pacifist pattern, Jünger’s Storm of Steel has long been the obvious alternative. 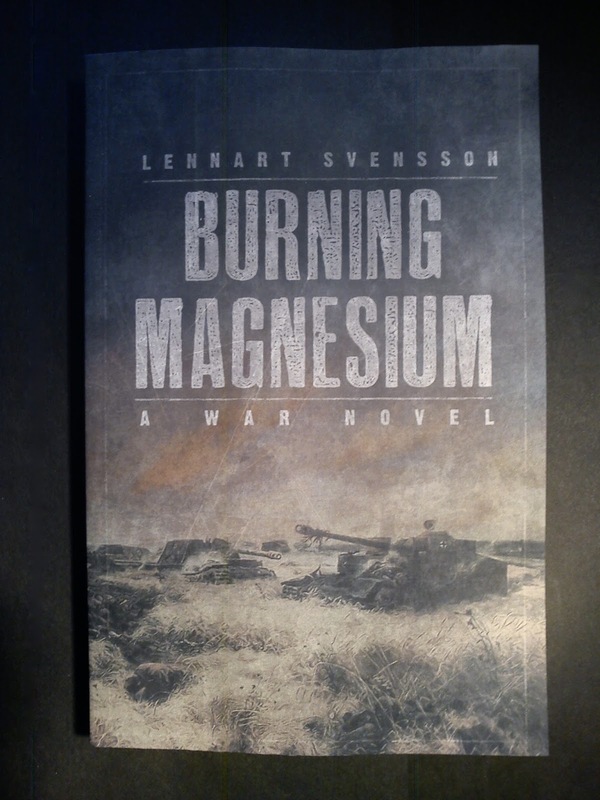 With his work, Burning Magnesium, Lennart Svensson has given us yet another alternative." Eastern Front, 1942. Arno Greif is sent east to serve in the German army, getting his baptism of fire at Stalingrad. Later, he sees action in Ukraine, Belarus and Warsaw, all of it lethal combat in which Arno rises through the ranks from private to platoon leader. He also takes part in the endgame of Berlin, 1945. 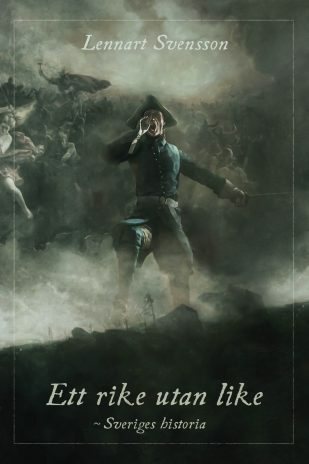 After surviving a time in custody Arno returns to his native Sweden where he becomes a peacetime army NCO. But Germany again beckons him. And he returns there for a career as a private investigator, all the time haunted by his war memories. 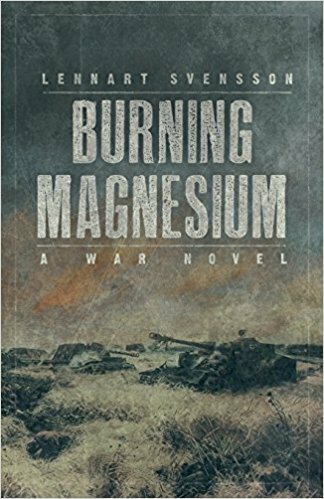 Burning Magnesium is a story about the most severe, prolonged campaign of WW2, Germany’s war against Russia. It’s a novel in the great tradition of Sven Hassel, Theodor Plievier and Willi Heinrich. Lennart Svensson is known for his essays Ernst Jünger – A Portrait, Borderline and Science Fiction Seen from the Right. 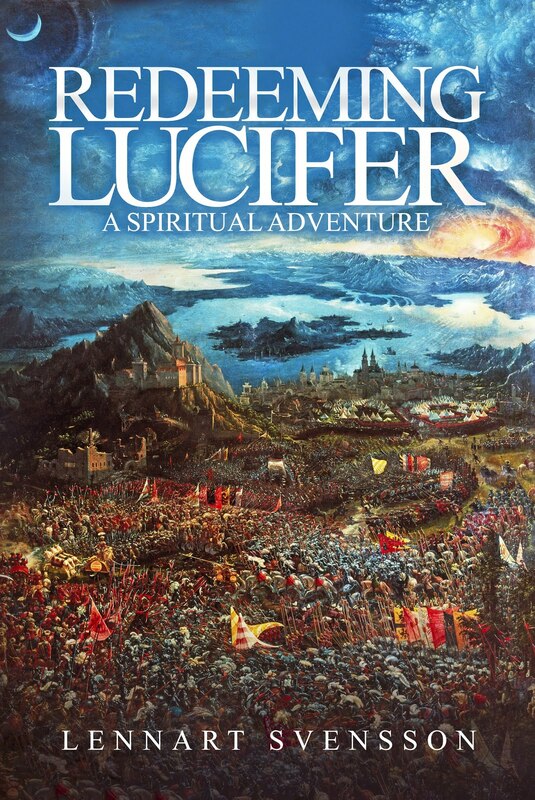 His debut as a novelist was Redeeming Lucifer (2017). Brutal battles in the icy wastes of the Eastern Front are lit at night by burning magnesium flares. This gripping novel of war, and the timeless ethos of the warrior, follows Arno Greif, a Swedish volunteer in the German Army. 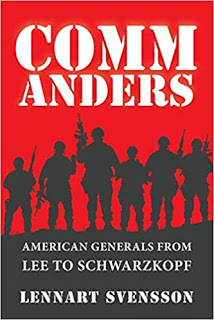 Come with him, from the heady advances of 1941 through to the bitter fighting in the ruins of the Reich in 1945. Burning Magnesium has clear echoes not just of Junger’s Storm of Steel but also of Solzhenitsyn’s August 1914. 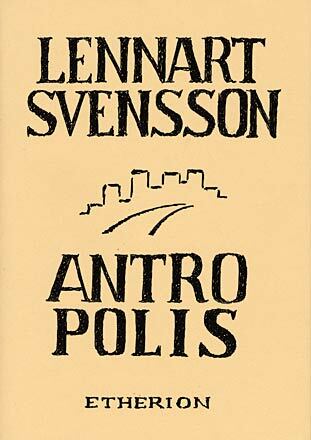 Author Lennart Svensson plunges his readers deep into both the operational details of World War Two combat and the mind of the fighting man. 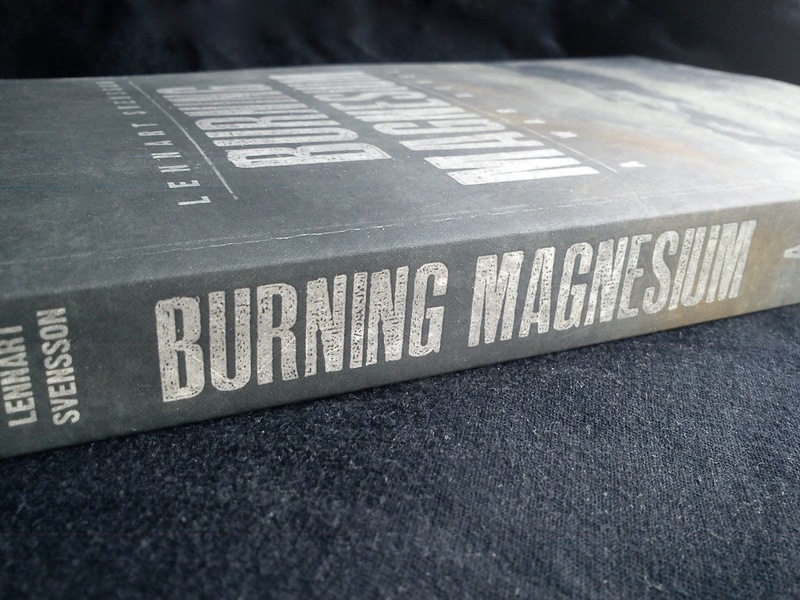 Written without sentimentality or judgement, Burning Magnesium gives a long-overdue human dimension to the men who fought for Germany in the most brutal and decisive theatre of the Second World War. Some quotes from the novel proper could be pertinent. They passed some of their own wounded, men from 3rd Platoon who had somehow got there before them. Blood and screams, mad staring eyes, yellow and green bile, white bone and black wounds. Tanz turned a blind eye to the wounded and shouted at his men to keep going. The column of armoured vehicles rolled on, over the battlefield, under the descending trajectories of the shells. Attack, always attack; such was Arno’s motto even though the war was going backwards for the Germans in general. He had attacked at Stalingrad, attacked to get out of the Kharkov trap, attacked at Kursk and now they attacked themselves out of the Kamenets-Podolsky Pocket. It seemed to be Arno’s way of being, his essence which he projected onto the environment: always attack. Fire and movement as a state. Bright red lines drawn across the sky, a magnesium green shimmer hovering over the land, earth fountains rising at the points of impact, shrapnel and body parts flying, crushed pulp and steel fragments everywhere, black smoke and an echo crossing the plain, bouncing off in the distance and dying out – and it was answered by the roar of the planes, the song of the Panzer machines, the rattle of automatic fire and the roaring of the Nebelwerfer rocket launchers -- a howl out of the abyss like the hellhound Garm in the Edda. And so it goes. 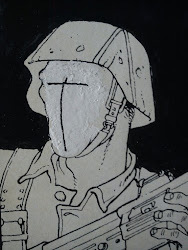 This is a novel about WW2, about a frontline soldier, about modern bushido and a lot more. It's Actionism, symbolism and epic poetry in prose form. 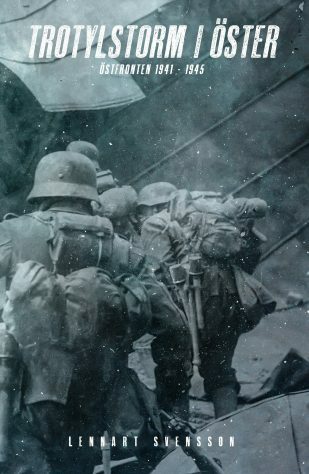 For the reader wishing for a war novel that deviates from the moralizing, pacifist pattern, Jünger’s Storm of Steel has long been the obvious alternative. 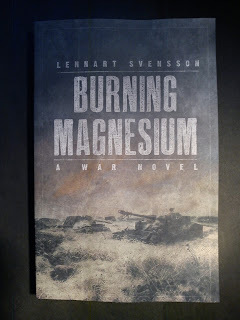 With his work, Burning Magnesium, Lennart Svensson has given us yet another alternative. Buy the Book on Amazon.com: hardcopy or e-book. Buy the Book on Amazon.co.uk: hardcopy or e-book. 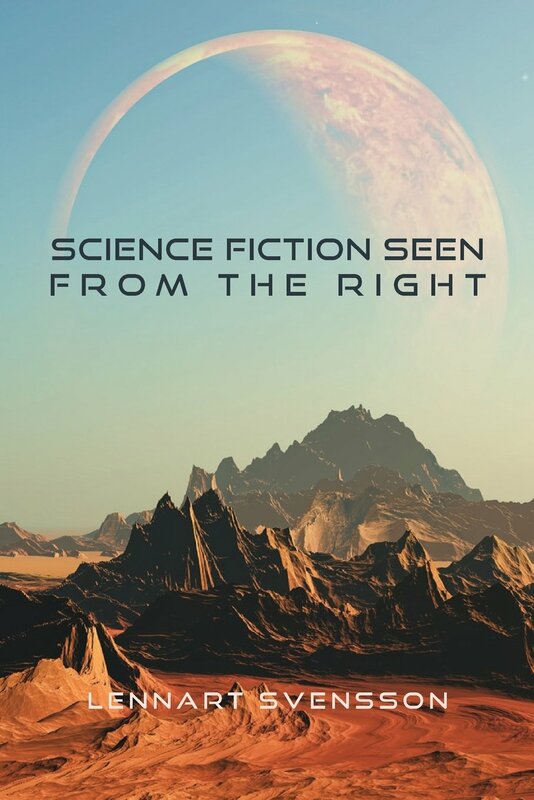 Buy the Book on Logik.se: hardcopy or e-book. Buy the e-book on Adlibris. Buy the e-book on Bokus.